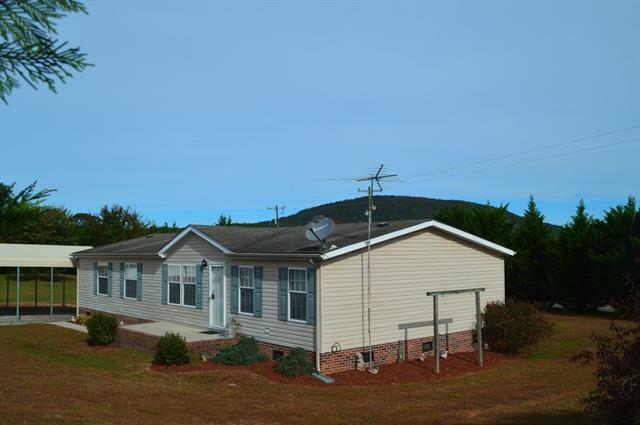 This beautiful home offers lovely views on a .6 acre lot located in the heart of Hiddenite! This is a one owner home has been meticulously maintained and offers 3BR 2BA, a large master suite with a huge WIC and lovely master bath with soaking tub and shower! *SELLER WILL REPLACE ROOF w/accepted offer! This home also offers a spacious great room w/ a stone FP & built in book shelves. The kitchen is very spacious with appliances remaining and lots of cabinet and counter space. You'll love the views from the kitchen window. This home is minutes from Rocky Face Park and offers views of Rocky Face mountain! The corner lot is tree lined for added privacy and is mostly level. The large front porch offers a space to put rockers and enjoy the cool fall breeze and the chirping of birds! If you have been looking for a home under a hundred thousand in good shape in the area this one is certainly one to add to your list! This is a convenient to Statesville, Taylorsville, Hickory, and Hiddenite!